I am still dreaming about the fun I had on the Carnival Western Caribbean Cruise! It was a 5 night western Caribbean cruise that went to Cozumel, Mexico, and Grand Cayman. This is was the longest I have been away from my daughter in quite some time, but it felt good to have some have some fun with my girlfriends. The Carnival Paradise is the perfect fun ship that you can take when you want to get away with your girlfriends! Truly the ideal Girl’s Getaway! The Carnival Paradise is the perfect Girl’s Getaway for so many reasons and I am dying to share all the fun with you! This girl’s getaway was a reminder of how important female relationships are in a women’s life. Instead of tearing each other down, we build up other women to help them be happier and more successful in business and in life. I am so happy to have made my female relationships stronger on this trip as well as gain some new friends. It makes me so proud to show my daughter by example how to have female friendships where we support each other and have some fun! Did you know that meals are included on Carnival Cruises? The Carnival Paradise just added two awesome new restaurants that will have you “full” of deliciousness! 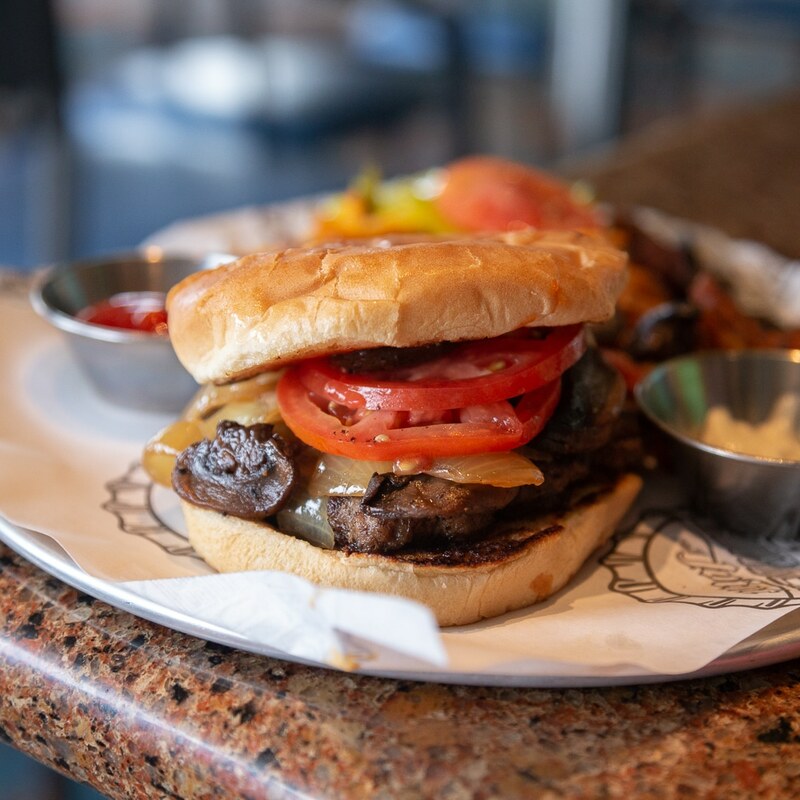 The best lunch option on the cruise is Guy’s Burger Joint by Guy Fieri! Grab your Guy’s Burger and hand cut fries with a topping bar that is on point! I absolutely love my Plain Jane Burger with sauteed mushroom and onions with Guy’s Secret Sauce (Donkey Sauce) on top! The Guy’s Burger Joint Menu consists of awesome burgers with amazing toppings like Chili, LTOP (Lettuce, Tomato, Onion, Pickle), SMC (Super Melty Cheese), Rojo Ring (Crispy Spicy Onion Ring), Donkey Sauce (Jacked Up Secret Sauce). Feeling Crazy? You can grab a Pig Patty that is made out of crispy bacon! The Carnival Paradise has an awesome dance club. I don’t know about your town, but we have absolutely no dance clubs in Boca Raton. At least none that I have been to or want to go to. LOL The dance club on the ship is the ideal place to dance off all the fun food and drinks you have on the cruise. It is the rare occasion where you get to dance with your friends! Every time I go away, I put money aside for a spa treatment! When I first got on the ship I did the spa tour, where I entered and won a spa certificate! You definitely have to do this! The tour is fun because you learn about all the new hot treatments on board the ship! Also, you are entered to win spa certificates! During the tour, we all saw the awesome gym with one of the best views on the ship. The windows are on the front of the ship and you can see the wide open water as you work off your meals. While I was on board the Carnival Paradise, I had a nice hot stone massage and a cellulite reduction treatment that actually took 8 inches off my body. I felt even more confident in my swimsuit by the pool after shedding 8 inches! The pool is a super fun spot to hang out. It is flanked by two hot tubs with cute new bars right there. There are the BlueIguana Tequila Bar and the Red Frog Rum Bar. Both super cute bars are right by the pool so you can enjoy a slushy drink or a cocktail. The BlueIguana menu offers up Mexican favorites, including endless tequila options and a slew of Mexican brews. There’s a lineup of frozen concoctions, cocktails, and margaritas served by the glass or by the pitcher, and even a special Mexican beer cocktail. The Red Frog Rum Bar was my favorite drink spot on the cruise. One of the best cocktails is the Ting Mojito. You have to try the Carnival’s Ting Mojito on your next cruise! It is made with muddled lime and mint, Absolut Ruby Red Vodka, grapefruit juice, fresh lime juice, simple syrup, and ting (grapefruit) soda. Get the recipe here. If you plan to party while you are on the cruise, the Carnival Cruise Drink Package is for you! Do you need to just take in the serenity of being away from the kids? The Serenity Deck is kinda hidden at the back of the boat on the Carnival Paradise on the 9th Floor! I think that it is hidden on purpose because it is only for those that are “in the know” about how fabulous and relaxing the serenity deck is! They have two hot tubs and lots of lounge chairs as well as a place where you can hide from the sun! My kind of serenity is shaded with a hot tub! Every night, after dinner there is some fun dancing and amazing singing by the wait staff. It kicks off the evening festivities so that you are ready to continue the party! After all, you are on a girl’s getaway and you HAVE TO party! The Dinner in the dining room was fantastic every night! I have to give you guys an awesome pro tip (from the ultimate Cruiser that shall remain nameless ;)) for cruising on Carnival!! If you like Indian (or always want to try), make sure to order the Indian main dish as the main course for dinner. The cooks are mostly Indian and this is their specialty! If you order two dinner dishes, make sure one of them is Indian. The Indian food is my favorite along with some awesome American dishes like the Fried Chicken. This Carnival Western Caribbean Cruise blog post has links to products and services we love, which we may make a commission from. On the 5 night western Caribbean cruise carnival paradise, there is one dress up evening where everyone gets dressed up. You can wear anything from a simple dress that does not need to be steamed or ironed like these cruise dresses from Karina Dresses (see the multiple ways you can wear Karina Dresses here) or even a gown! It is really up to you how dressed up you want to get. If you don’t get a chance to dress up when you are home, why not get decked out on your girl’s getaway. Personally, I am a fan of easy dressing on cruises. That is why I go for clothes that do not need to be ironed (Did you know that they don’t let you bring Irons or Steamers on the cruise? – It is a safety protocol!) 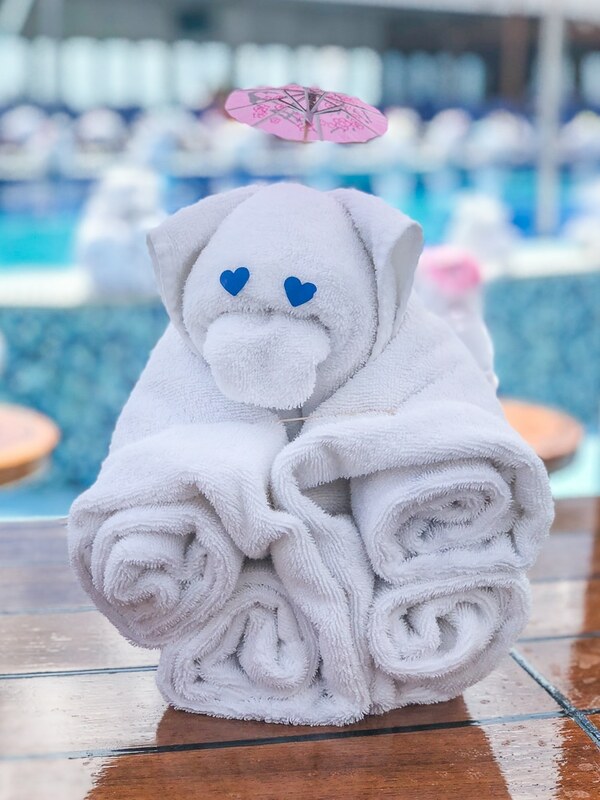 You can, however, get your clothes laundered on the ship instead! During the 5 night western Caribbean cruise, to get the most out of your girl’s getaway, you can get off the boat for excursions. The Mr. Sanchos Beach Club is all inclusive and carnival paradise excursions in Cozumel, Mexico! The beach club is super cute and has a package on trip advisor where you can get all you can eat and all you can drink right on the beach. You will need to take a cab to Mr. Sanchos, but it is pretty reasonably priced especially if you share with a bunch of your girlfriends. While you are in Grand Cayman on the Western Caribbean cruise, you have to go to Sting Ray City. You get to play with Sting Rays on a sandbar with helpful guides that let you pet and even kiss them if you want! Are you ready to Book a Girl’s Getaway on the Carnival Paradise?